An unforgettable experience for flavour and effect. This inherent mysterious Sativa received a prize at Spannabis Barcelona 2015. With Amnesia Mistery, Positronics takes a step forwards in the development of the most recent genetic Sativas. Their finest clone of Amnesia was selected and crossed with a mysterious leader that arrived from the lush valleys of California. A delight for expert growers, it won 2nd prize Interior Hydro in Spannabis Barcelona 2015. The mysterious genetics provide an incredible size and multitude of flowers. It stands out due to its prevailing enormous growth. 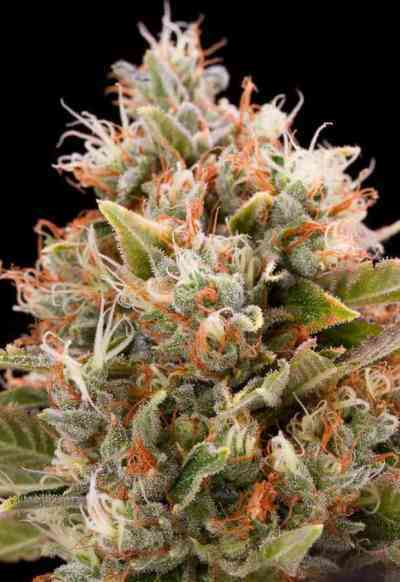 Its strong structure allows it to develop more branches and produce many flowers, as well as a large central bud, which is typical of the Sativa varieties. Amnesia Mistery will easily become the largest plant in the garden. It occupies a lot of space and has great strength when faced with the attack of any type of fungus. Aroma: In fresh flowers an essence of pine predominates, with traces of mint. Once dry, its rich odour of spices is strengthened with a tasty essence of liquorice and coffee. Flavour: Initial hints of acidity with nuances of wood and a spicy sensation. The back of the nose is where we most clearly notice the strong incense base. With a vibrant finish, great persistence and a pleasant citrus tone that you will want to last forever. Effect: Amnesia Mistery has a very luminous cerebral intoxication that brings everlasting and tranquil smiles, taking us to the paradise of hedonism. A clear and immediate effect that considerably awakens our imagination and creativity. The top choice for cutting edge growers.